My wife and I are beyond grateful that after years of planning, preparing, and praying that we are able to Kaanapali Coffee Farms home today. At 36 years old, this was by far the most difficult and also the most rewarding endeavor that I have ever accomplished. We moved into KCF in January 2018, and we couldn’t be happier with our decision and commitment to make it happen. 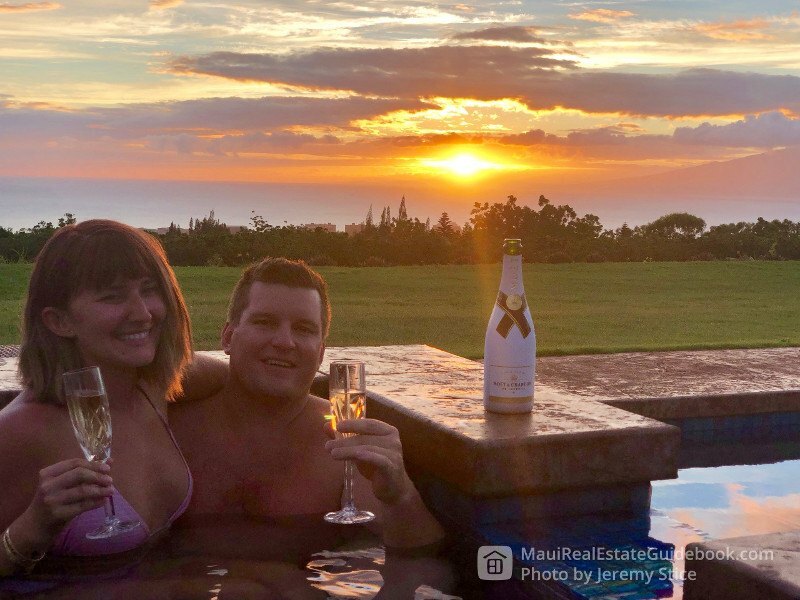 For us, as with many other buyers in Hawaii, it is really all about the lifestyle. Being outside is in my blood; I was literally born under a coconut tree on the property that I grew up on in Haiku and where my parents still call home today. For me, the connection to the land is priceless. The Haiku property I was raised on is a family compound of almost 10 acres with immense privacy and stunning natural beauty. One of our goals in calling KCF home was to create a similar atmosphere in Kaanapali where we hope many generations of Stices will call home for generations to come. 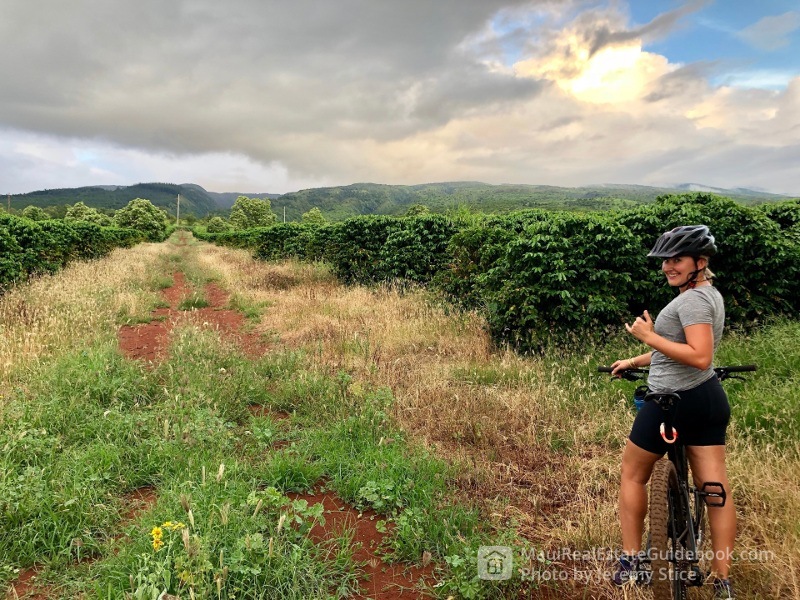 This post highlights some of our very favorite lifestyle aspects of living in Kaanapali Coffee Farms. 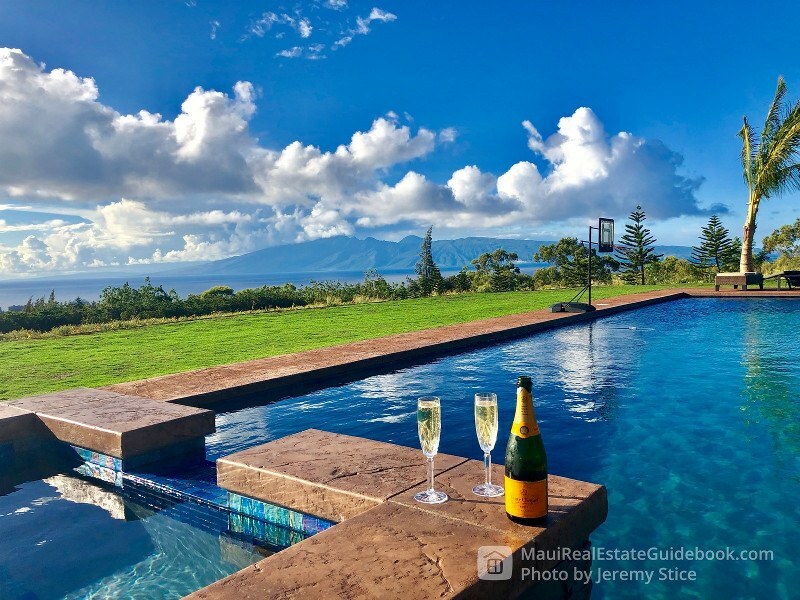 I don’t talk about any specific real estate offerings here in this post, but I do encourage you to read this post which does cover it after you get a feel for the priceless lifestyle aspects here. 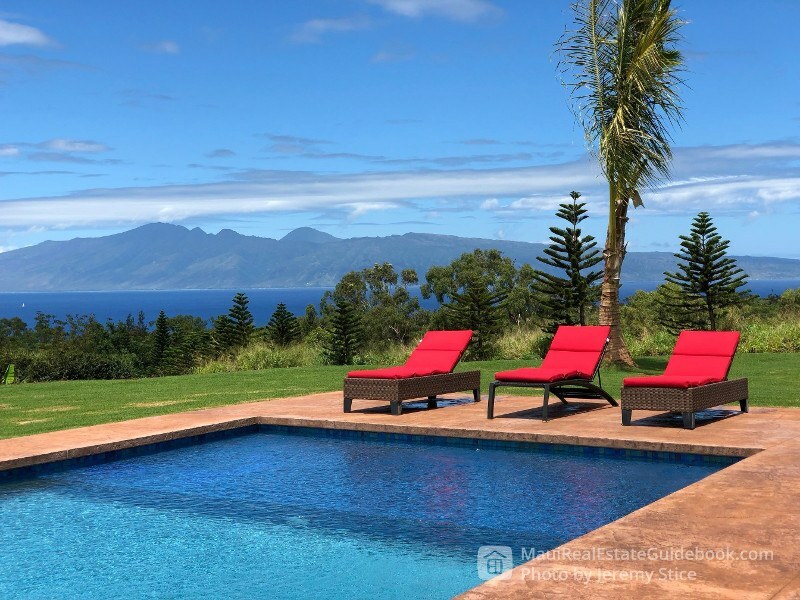 For all real estate offerings in Kaanapali Coffee Farms, please check out my sister post Kaanapali Coffee Farms- West Maui’s Most Desirable High-End Country Living. The front entry gate of our community. 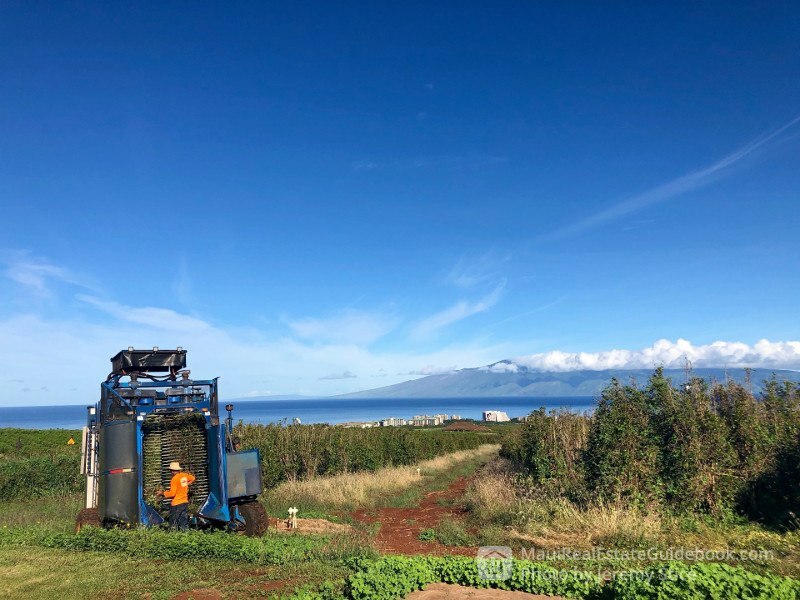 I can’t think of any other communities in Maui that are similar to Kaanapali Coffee Farms where the entire subdivision sits in the middle of a working Coffee operation. The vast majority of the coffee that is grown on Maui originates from this area and is sold at its company shop MauiGrownCoffee.com directly and to many other coffee shops around the island which re-brand the product with their own personal touches and labels. There are several different varieties of coffee grown on the farms including: Maui Mokka, Red Catuai, Yellow Caturra, Kaanapali Estate, several varieties of green coffees, and others that can be found on the previous link. Everyone raves about Kona Coffee and rightfully so; however, it is my personal feeling and shared by many others that the Kaanapali Coffee is actually better than the Kona. 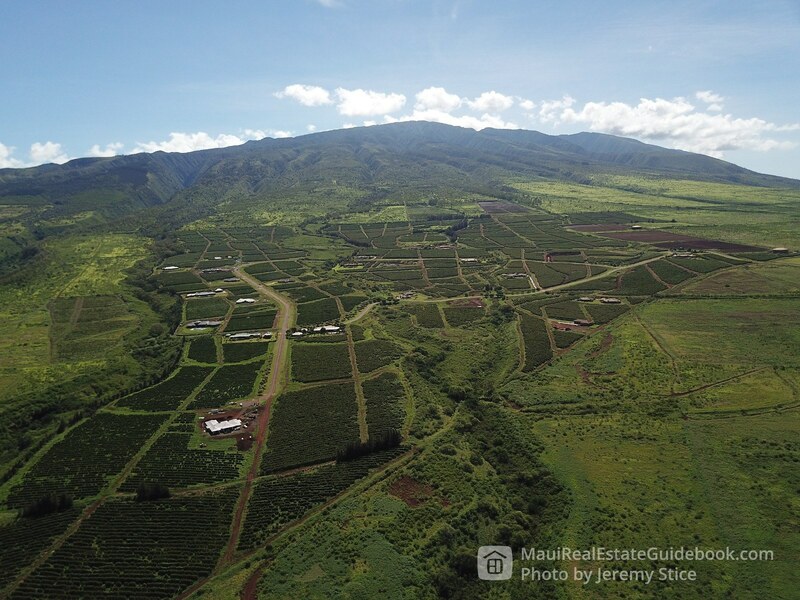 With the cessation of both pineapple and sugar operations, Maui now has an abundance of fallow agricultural land. 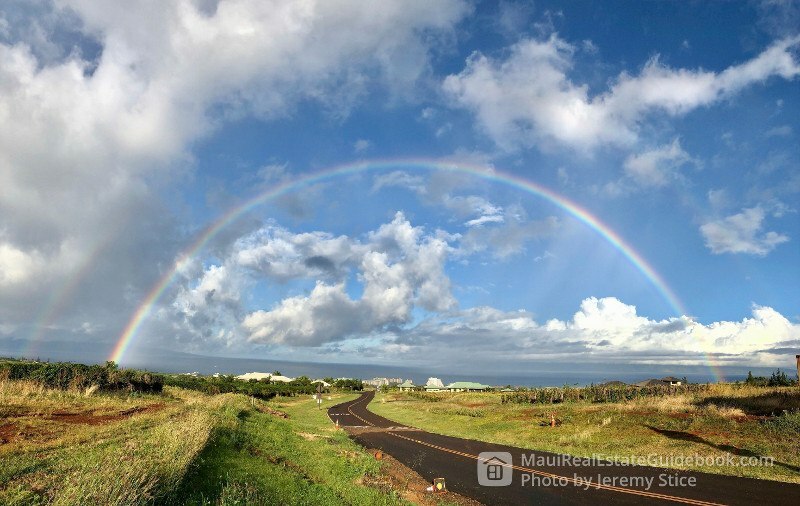 I personally would love to see other communities like this developed so that the people of Maui can live off and provide for themselves off the beautiful land, sunshine, and rainfall that we have. I have been asked by prospective homeowners if there are any downsides to living on a working farm and the most consistent question I get is if our ownership experience is impeded by the workers or the operation. The answer is no. We rarely see any workers or equipment associated with the operation and in fact, when we do, they are extremely friendly and fun to watch. The berries are harvested annually, starting in the fall and into the winter, but it depends on the specific variety and the coffee trees are trimmed from their maximum height of 10-12ft. to about 3 ft. about every 3-5 years or so to keep the trees healthy. What about chemicals? This is something that we asked about before we decided to purchase in the community. The farm is very conscious of using as mild of chemicals as possible and very little pesticides. They do treat some of the weeds on the farm road with roundup but you can request that they not do so as we have. Built-in agricultural plan. 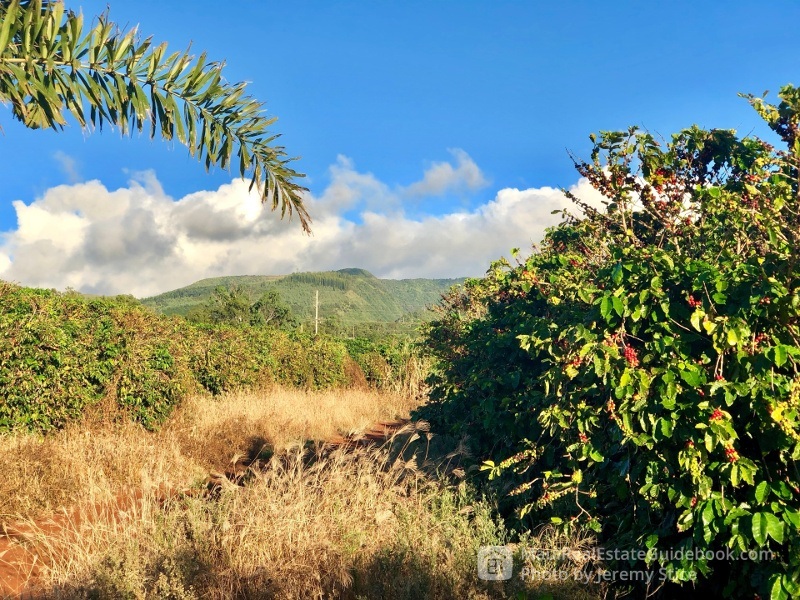 There is no need to go through the efforts to create and register a farm plan with the County of Maui to take advantage of agricultural land property tax classifications; this has already been done for you by the coffee company. Profit sharing. Depending on the profitability of the coffee operation, a percentage of the HOA fees that owners pay to the association is returned as a dividend at the end of the year. For 2018, this amount was 25% of the total fees paid, amounting to almost $3K. Keeps it green. You will note that I have in my title that it feels like wine country in Kaanapali — but actually, I think it’s even better. The coffee plant is a very attractive green bushy plant that flowers with a bright white flower and the radiantly red coffee beans. This particular location in Kaanapali is extremely green and definitely shows the windward transition as you move north. Everything grows like crazy in the Coffee Farms (including weeds, so make sure you install weed-mat in your landscaping plan. Kaanapali Coffee Farms was once prime sugar cane land 25-30 years ago before it was converted to coffee. The mono-cropping of the sugar cane plants depletes the soil of its many nutrients but the coffee trees have a very different effect in that they enrich it. Beset below the mighty and lush Mauna Kahalawai, which is one of the wettest places on the planet, the nutrients run down the verdant slopes of the Coffee Farms, which is a perfect natural fertilizer for all of your fruits, vegetables, and hungry plants. 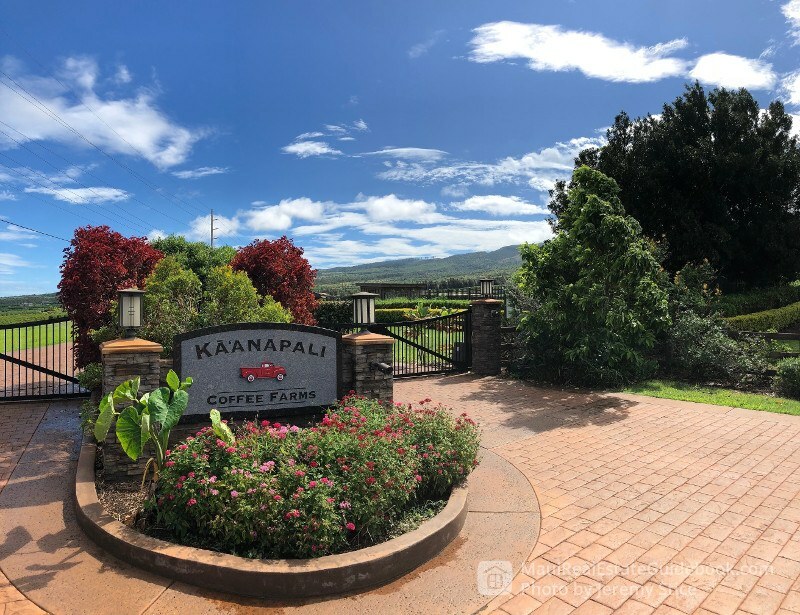 We have lived in Kaanapali since 2010 and what I like most about the coffee farms is the space (5 acre lots on average), the privacy, the elevation and temperature, and the fact that we can actually grow our own crops. 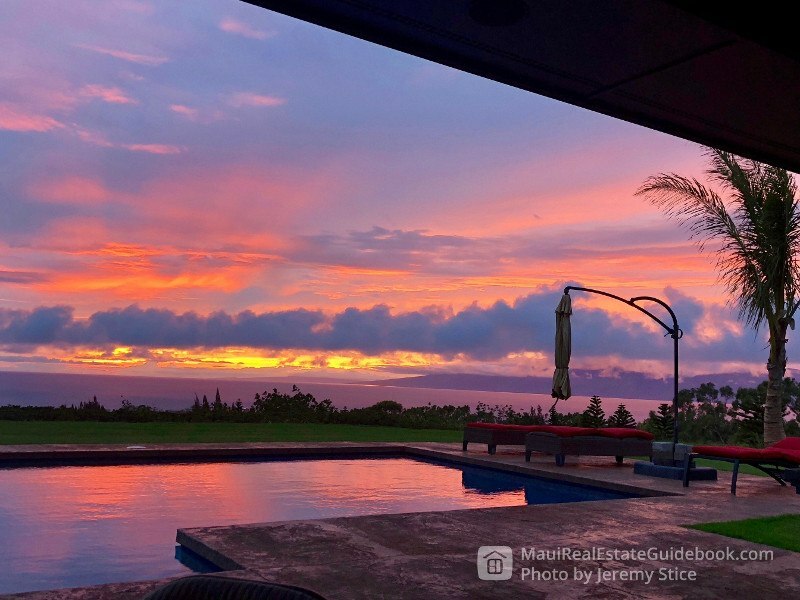 We lived in Kaanapali Golf Estates previously, and although it is a very nice community, it’s much denser with less privacy, and the real bummer is that according to the CC&Rs, you can’t even have a small garden. We enjoy regularly seeing our neighbors work their land, and we look forward to sharing our fruits with them. A few of the long standing owners in KCF have created complete masterpieces with their land crafts and all the amazing things that they have grown! The Coffee Farms is located just outside of the main Kaanapali Resort area on the mountainside above Kaanapali North Beach. Although very close to all of the beaches and awesome attractions, you feel completely removed from it all and it’s amazing! I took this video last summer and this is a fairly common experience for us. One of the most amazing things is that because of our elevation and expansive view plane, we just see so much of the sky in all of its amazing forms. 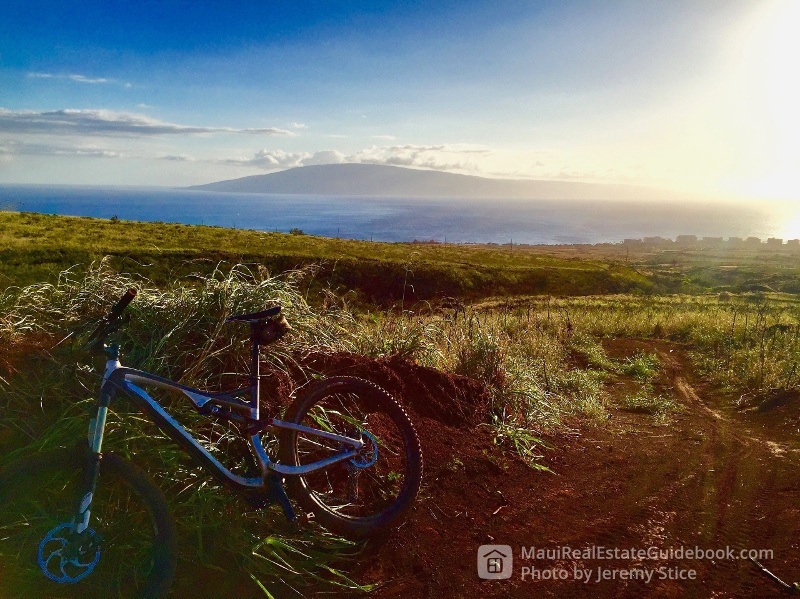 You can also note unobstructed views of both Lanai and Molokai island, this is common for just about all lots in the Coffee Farms. Last year, we were fortunate enough to be invited by one of my best friends, Kevin Schenk, to join him and some very powerful community leaders as well as members of Hawaii’s famed Hokule’a sailing to embark on a priceless visit to Pu’u Kukui which is the mountain peak above the Coffee Farms. Seeing this pristine native Hawaiian forest and meeting these people is something I will never forget and gave me an even deeper appreciation of where we call home. 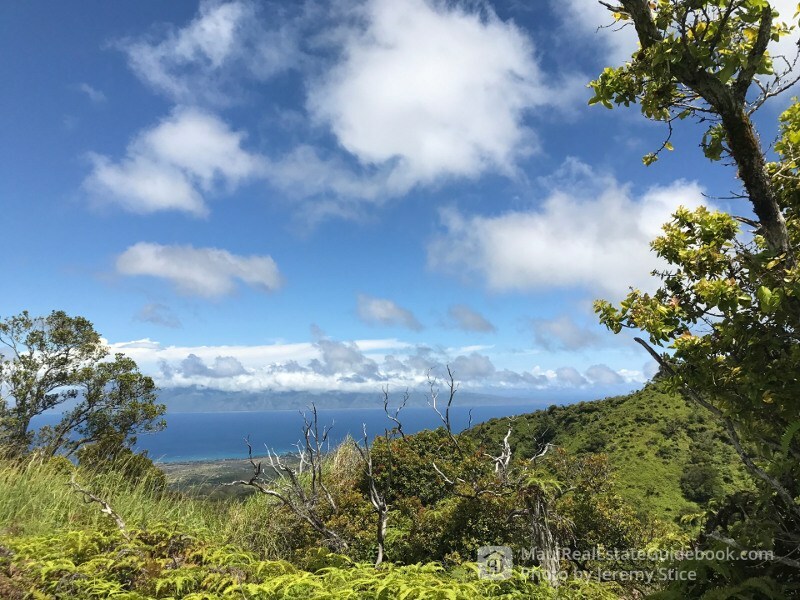 In this photo, we are at about 3,000 ft. above elevation looking out towards Molokai and down on the Coffee Farms. My wife Megan is being a good sport here as we head up the mountain on our mountain bikes. The valley that you see near the mountain side almost inline with the dirt road is where we went to Pu’u Kukui mentioned above. The Coffee Farms is a fantastic place to get out to stretch your legs and explore. I took this shot a couple of years ago before we lived in the Coffee Farms and was one of the reasons that we fell in love with it so deeply. You can see the faint outline of the resorts in the upper right hand corner here. Our family loves walking the loop around the neighborhood which is just about 2 miles in entirety. This is commonly how we start our day together, and I instantly get a huge smile on my face as I feel the warm sunshine on my body, the purifying tradewinds, the sonorous birds chirping, and the incredible views all around. In the winter time, it’s awesome to look down to the ocean and see the whales creating huge splashes. Sometimes I do this multiple times a day if I want to take calls while getting some exercise or just to clear my hand. My favorite and likely our Frenchie puppy Coco’s favorite are our night walks where we get to see all of the stars and flying owls in the sky — simply amazing. When in Kaanapali, you’ve got to keep your golf game up. We occasionally enjoy doing some chipping in the yard during sunset hour or getting out the net and hitting a few drives into it. 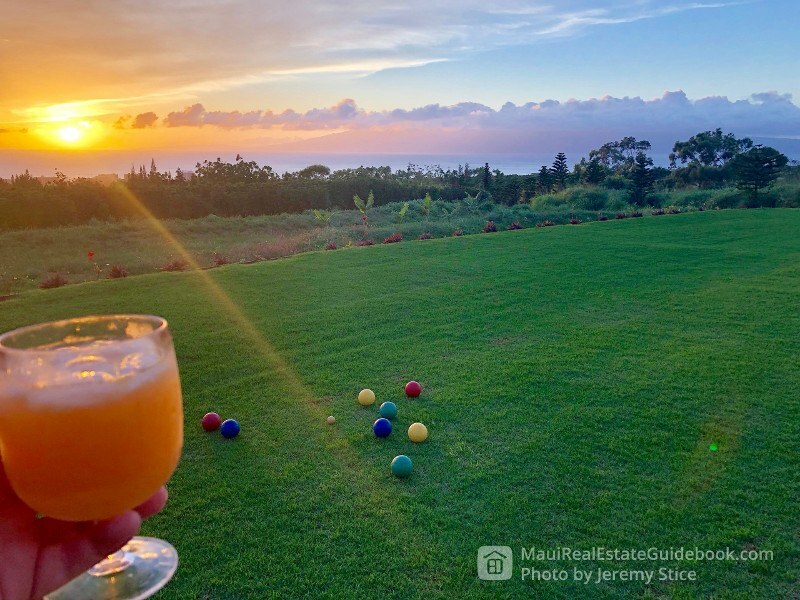 I think my favorite yard game involves Mai Tais made from oranges, limes, and lilikoi grown in our own yard and bocce ball out on the lawn. 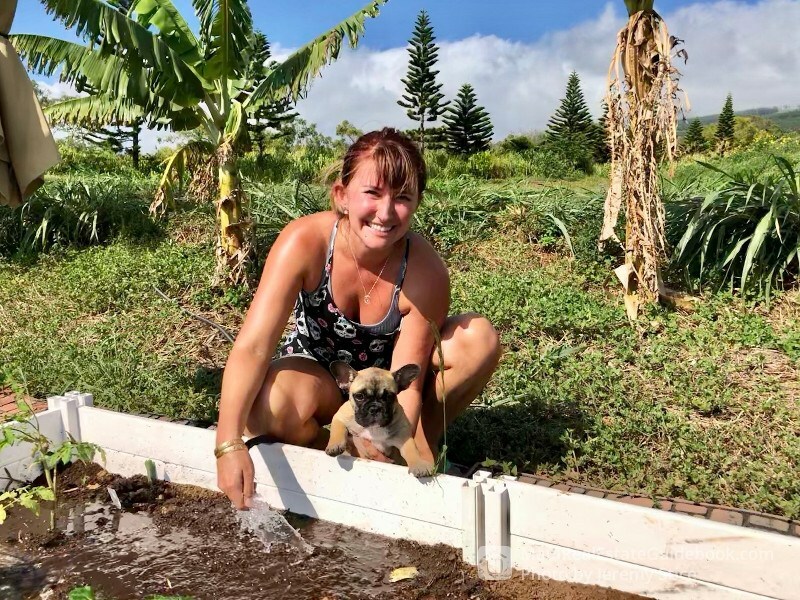 My wife Megan and our puppy Coco Chanel out watering the garden together. I absolutely love mowing, watering, and working in the yard during our sunset golden hour. 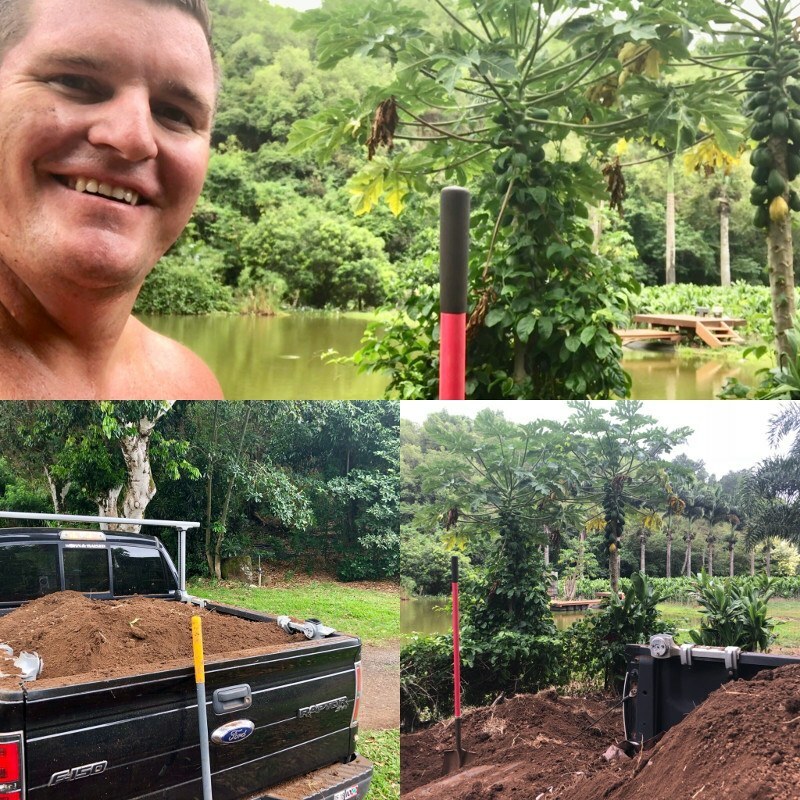 On this day I shoveled a bunch of incredibly rich top soil from one of our other family farm properties in Maliko Bay on the North Shore to put in our raised garden beds above. 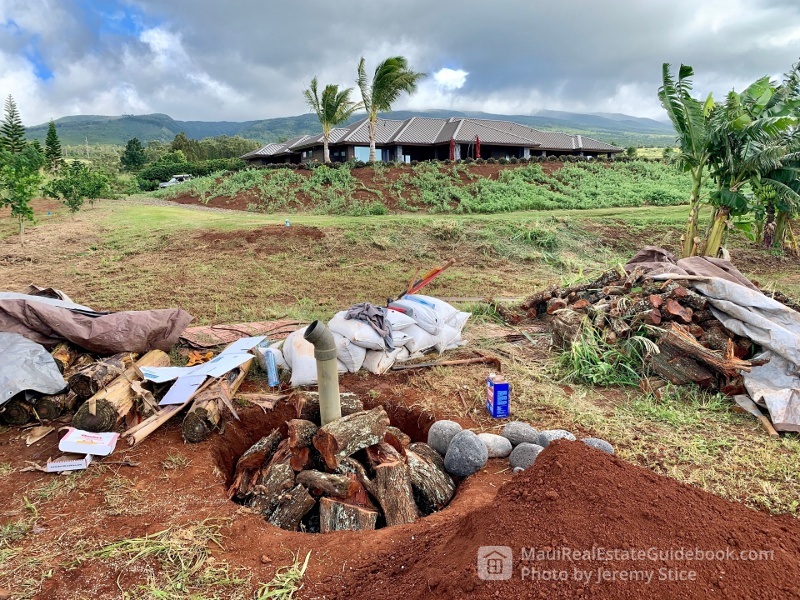 This past Thanksgiving we celebrated our ‘ohana tradition by creating a Polynesian underground oven known as an imu. This is something that we have done my entire life as my sisters, cousins, and I used to help my dad with all all of the prep work. My cousin Tim and I are now in charge, and he helped Megan and myself this past year in doing our first imu in Kaanapali. Megan and I were out the night before digging the hole by hand with pick and shovel so our hands were quite shredded up but it was so worth it! 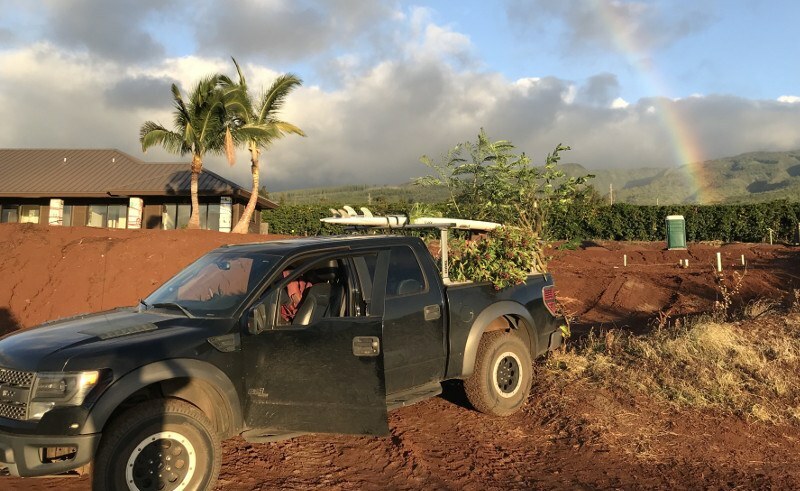 On this day when our property was still in development, my SUP board had to make room for some plants that my dad and cousin started for us out in Haiku. The most meaningful of which is the royal poinciana tree here that was grown from a seedling and came from the family property in Haiku where its mother tree is home to where my Tutu Janet’s ashes are buried. It is my hope that when my day comes, that some of my ashes will be planted here on our land as well. 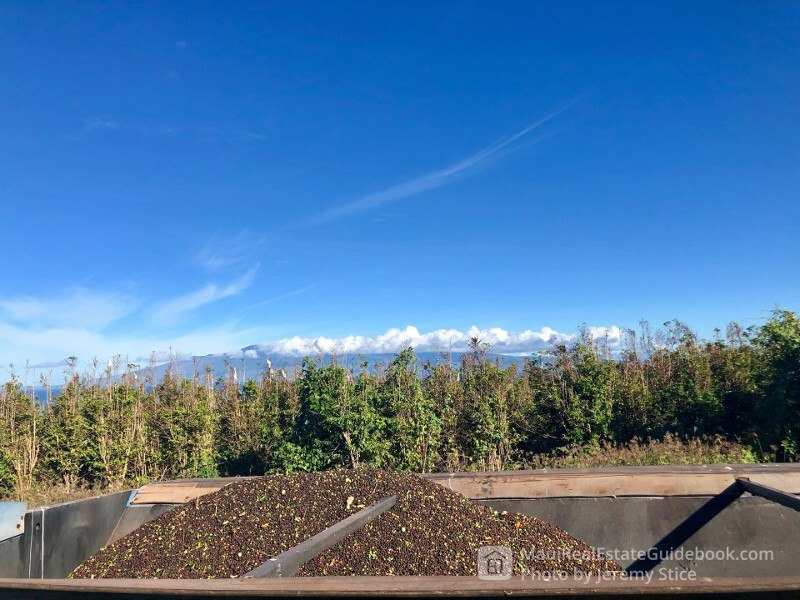 Flowering season is Feb-March, and the different varieties of coffee will be ready to harvest (above photo) at slightly different times of the year but it’s usually from late fall into our early winter months. This really odd looking machine goes through each row of the coffee and shakes off the berries and collects them in the machine, which is then dumped into the large containers shown below. This is the view from our large covered lanai looking out towards Molokai; trust me, this never gets old. On the clearest of days like this one, we get almost views of Molokai and its mighty sea cliffs. Personally, I think this is one of the most beautiful landscapes in the world. I took this shot a couple months ago while walking the loop, you see the faint outline of a double rainbow. Since this, I have even seen a triple rainbow, which was the first and only one I have ever seen. 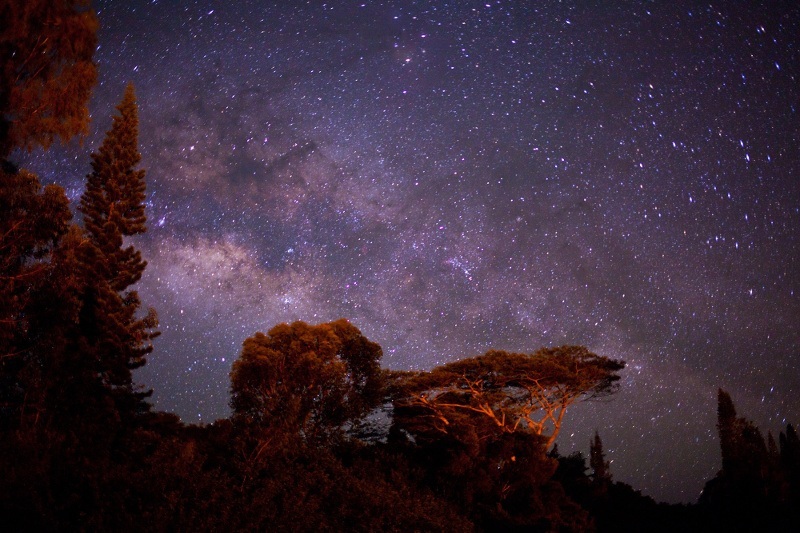 The star and milky way watching in the Coffee Farms is absolutely magical because you can see so much of the sky and there is very little outside light interference. I love laying out by the pool at night listening to nothing but the crickets and loosing myself time and time again. We love enjoying champagne or other tasty treats during sunset hour from our jacuzzi. One of the main reasons that my wife and I chose to build our new home in the Coffee Farms was so that we had a private, large, and wonderful estate for our family, friends, and loved ones to come together and enjoy precious moments together. Megan and I are looking forward to starting our own family together, and we couldn’t think of a better place for us to raise our children with plenty of room for everyone dear to us to share together. I have learned much in our process of selecting a lot and building a home together — I am here to share my experiences and insight with you to help make this as a rewarding and efficient process as possible.